Winston's is a lovely community cafe/coffee shop situated in Greenwich, South London. They do a wide range of delicious home cooked food that is inexpensive and very good value for your money. 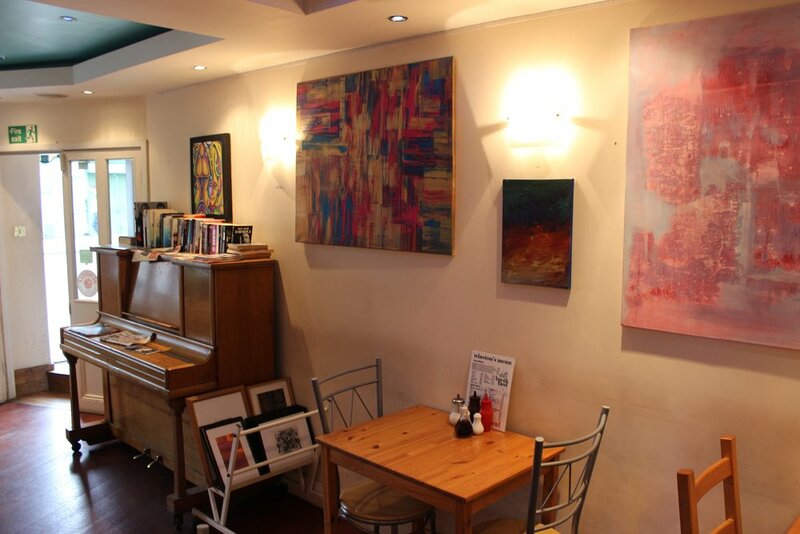 Take one step into this quirky little cafe and you’ll find yourself encompassed by exquisite works of art, both paintings and sculptures, that are guaranteed to keep your eyes wondering as you take a sip on your freshly brewed cuppa! And if you REALLY like what you see, all of the art is available for purchase! On top of all that, Winston himself takes pride in arranging an ongoing stream of Live music events on a weekly basis for all to enjoy (Friday and Saturday evenings). If you fancy a little fun with friends, pop down on a Friday to catch the karaoke and start your weekend off with a bang!